This week’s Flashback Friday: The Witcher Saga. I’m happy to have Polish author, Joanna Maciejewska here for a guest post on how The Witcher Saga influenced her as a writer. Some of you might have heard about a successful video game series by CD Project called The Witcher, but probably not many know it all started with a short story sent to a contest organized by a Polish speculative fiction magazine. 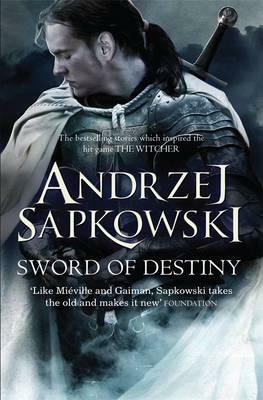 “The Witcher Saga” by Andrzej Sapkowski that grew out of this one story not only became a source of inspiration for the games, but is also a series on which a whole generation of Polish speculative fiction fans grew up, myself included. I was in my early teens when I picked up the first book from the library. 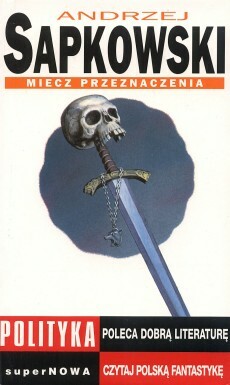 I was still fresh to the speculative fiction genre, stuck with the fantasy books trickling into Poland from the English language market, and I tended to be suspicious of Polish authors as majority of our writers focused on science-fiction, but The Sword of Destiny maimed me with its title, promising it wouldn’t disappoint me. And it didn’t. Sapkowski’s prose proved to be like nothing I’d read back then. His characters were so alive, passionate, sarcastic, sometimes petty and not free from all the vices we see in people around us. In this particular short story collection (and the five novels that later followed) the witcher Geralt of Rivia would travel from place to place, slaying monsters for money, and discovering that the creatures he killed were sometimes less evil than the individuals of his own species. At the same time, the author played with archetypical stories, legends, and fairy tales—often retelling the classical dragon-hunt, adding twists, and such tidbits like a sarcastic reference to the Polish legend of a dragon from Cracow. 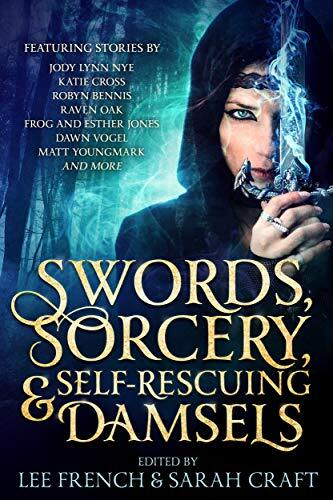 Through his books, I learned how to write engaging dialogue, how to make interesting characters, and how to take the old—like a “Little Mermaid” story he rewrote in a tear-jerking way—and make it into something new and refreshing. But the lessons learned from the Saga, which over my teen and early twenties years I’ve read multiple times, weren’t limited to the structure of the story and its components, but also went deep into the language itself. Sapkowski’s prose always utilized all the beauty and capabilities of the Polish language: puns, creativity, and the freedom in the sentence structure. Although some say the author sometimes “overdid it,” his style still provided a great study material, if one was willing to stop and appreciate the text. Later, in the novels of the main Saga, Sapkowski also taught me a valuable lesson POV choice. He often would pick background characters to show particular events through their eyes, adding both perspectives to the story and flavor to his vast world. The main characters sometimes were not even in the scene, but the author still managed to keep the readers at the edge of their seats. It definitely taught me that the most interesting perspective is not always the one seen from the main character’s eyes, and pushed me to search for the best narrator of the scenes I wrote. I don’t think “The Witcher Saga” ever inspired any particular piece of my writing, but it undoubtedly influenced my writer’s mind and helped me to search for my own style. I haven’t read the books in years, as upon moving from Poland to Ireland I donated the books to the library, but the story and the characters are still vivid in my memory, and so are the lessons I’ve learned on writing craft. Even though I know the Witcher might be a case of a first teenage love (in my case, Tolkien books came later), I still catch myself thinking I’d like to read these books again, pondering on how different my perception of them would be now. And whenever I consider buying them once more, I can’t help but wonder: can they enchant me once again? Click here to read other Flashback Friday posts by other authors including Jean Walker, GG Silverman, Django Wexler, and more. Joanna Maciejewska was born in Poland and spent over a quarter of her life there before moving over to Ireland. She studied primary school teaching and entho-linguistics, and currently works as a video games localization specialist. When she’s not busy translating and tracking text bugs in games, she reads, plays video games, does arts and crafts, and – of course – writes, both in Polish and English. 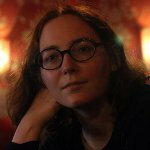 She’s been published in many Polish magazines (“Nowa Fantastyka,” “Fantasy, Science-Fiction & Horror,” and “Esensja”) and anthologies, both in print and digitally. She has short stories in English, published in Fiction Vortex and the anthology Of the Dead and Dying: Tales of the Apocalypse. 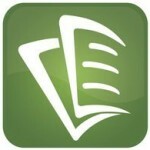 You can find her on Twitter and Goodreads, or visit her site at Melfka.com.